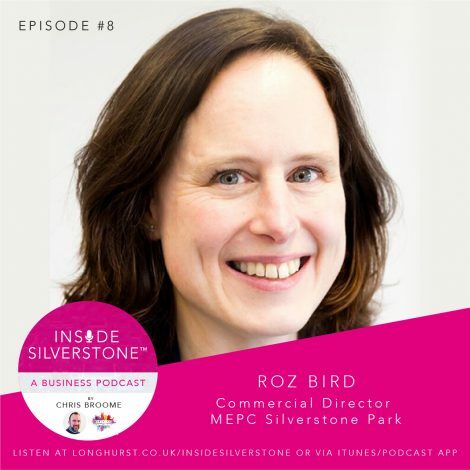 In episode #8 your host, Chris Broome, interviews Roz Bird, Commercial Director of MEPC Silverstone Park, and Chair of the Silverstone Technology Cluster. Listen as Roz shares her vision for the ‘High Growth Corridor’; her experiences working alongside both Silverstone, Cambridge, and Oxford based businesses; and how her direct engagement with the government is starting to pay off. Roz also shares what life is like living on the coast; her family life; and how a bad back nearly caused a stir in the Far East.